Adrien grew up in Northern Quebec where he was exposed to gardening, hunting, fishing, and small fruit gathering. He was also exposed to large scale farming as his parents owned a farm for some years growing barley, canola and at one point raising milk sheep. Growing up he always had rabbits, chickens and various other small livestock. Now an avid gardener, foodie, amateur woodworker, and raw milk advocate, he is experimenting with hugelkultur and polyculture, cooking from scratch, experimenting on reducing his ecological footprint, and much more. Adrien was introduced to Permaculture few years ago through Joel Salatin’s techniques and travelled down the rabbit hole to end up at Permies. Paul and Jocelyn are at Warm Springs Creek in Idaho. They are enjoying the pools of warm to hot water that have been formed by people stacking boulders around the springs. They say that it has been a mad scramble over the last several weeks as they were getting ready for the Round Wood Timber Framing class that they held. Stripping and prepping the logs takes quite a bit of time. Then they had Build Week where they built a berm shed and finally the Natural Building week. And then Jocelyn reminds Paul that they also had the Rocket Oven Pizza Party before the Natural Building week. About 20 people came for the Pizza Party and additionally they had instructors and rocket builders attend as well. Jocelyn mentions that they have more rockety things than anywhere else. Eleven rocket stoves, ovens or mass heaters on the premises and 1 rocket thing that wasn't working and got turned into a cook stove. They want to send out a big "Thanks" to Ron Bigelow of "Permaculture Pickle", Ean & Tyler who were boots helping with the events and Larry & Dave who helped before or during the events. Also, thanks to "Donkey" who came early and left late for the several weeks of events. He has incidentally closed his natural building school saying that it was just too exhausting to be doing all of the prep and work and clean up all on his own. Paul and Jocelyn note that they are also exhausted after the several weeks of events. Paul was giving tours of all the rockety stuff with lots of history and background on each of the items and then also letting everyone try all the rockety items. The Cyclone stove in the Red Cabin has detailed instructions on how to run it in the cabin but still the person using it had trouble and needed individual instruction. The people in the Tipi had a similar problem with that rocket mass heater. Jocelyn notes that you would think that it is not that much of a learning curve but she sees over and over that people need to experience the operation of the stoves in person in order to be able to run them on their own. Paul notes that when Fred couldn't get the one in Allerton Abbey to work correctly, he said that no one was to light it until "Donkey" could repair it. That was the one that they ended up turning into a cook stove. During the Natural Building week, they found that the dirt on Allerton Abbey was several feet too thick in places and needed to be removed to try and fix the draft problems that they were having with the structure. A small excavator was rented to move the extra dirt as it was far too much to shovel manually. Paul ended up running the excavator since no one else there had much experience with them and he ended up working at it every hour that he could to get it done. Paul and Jocelyn already had the Idaho excursion scheduled so they had an excuse to "escape". There is no umbrella right now on Allerton Abbey but they have a few more days with no rain so they should have time to finish it when they get back. They mention that the events of the last few weeks were designed to help them get finished several of the partially finished projects that have been unable to get completed in the last few years. When Allerton Abbey was started 5 years ago, the wind would blow through it and the guy that lived there couldn't fix it. Paul tried to have a couple of other people fix it over the years but neither of them completed the job. Finally, they were able to use a thermal camera and building a smokey fire in a can in the building to highlight where the air was drafting to so they could fix it. As they were pealing off the dirt to accomplish this though, they found that the soil over the waterproof membrane was too thin and the dirt underneath was far to thick. Maybe as much as 9 feet in one area. Paul thinks that he should have made a document to more accurately describe how it should have been constructed and therefore the fault was his that it was done incorrectly. Jocelyn argues that documents don't always helps and references the recent experience with the stove in the Red Cabin. She also then describes how Paul is totally frustrated by people using extreme language (ie always or never) and also by being interrupted. Paul and Jocelyn talk about how much was done by the "Boots" before the events as well. -They harvested a lot of the Sepp grain and tried a couple of ways of threshing it. The "squishy" method in the pillow case worked best. -They dry stacked a bunch more rock to shore up paths that were eroding or were very sketchy. -The scaffolding on the tall skinny berms by the Fisher Price House were also completed. John Pilch, Uncle Mud and Ernie and Erica Wisner also were a big help during the Natural Build week. Paul talks about needing to finish Allerton Abbey when they get back. Just him and Fred. Also they need to finish the berm shed but haven't been able to find any people to help with that so it will probably be just him and Fred again. Jocelyn mentions that you sort of need community to build community but she is feeling that they are heading in an upward direction again. Paul is hoping to hire a full time person to come and help soon. Bringing so many people through the property the first few years required Paul and Jocelyn to work more at their computers to earn money for the events and do all the administration required for large events. Paul notes that the events have always run several thousand dollars in the red. Jocelyn feels that people didn't understand why she and Paul weren't more active in the projects that were happening. Both of them give a big thanks to Fred and all that he has done. Part 2 of the podcast picks up with Erica pointing out that most people learn only one way of starting a fire and use that for every fire they start. There are actually multiple different ways to lay and start a fire. Erica's mother used to say "If you light the fire, it's your fire - you are responsible for messing with it". Ernie points out that "Gilligans" have been taught to start a fire by their parents and grandparents in a way that worked for their stoves and their situations. Paul moves on and shares his fire starting technique. Paul and Jocelyn accumulate burnable items all year long to start fires with and by the time the season for heating rolls around Paul has a large backlog of paper products. In an attempt to use up his backlog Paul puts approximately 12 pounds of paper in the back of the burn tunnel and then prepares with regular sticks to be used after his ridiculous amount of paper is started with his propane torch. Paul then puts in the sticks and sprinkles the fire with magic Fairy dust (wood shavings from making kindling) to get the fire going well. The discussion then turns to the main topic. Paul and Ernie believe that a "J-Tube" system burns less wood than a batch box heater and Donkey disagrees. Batch boxes are designed to be capable of burning more wood at one time than a J-Tube system and Donkey believes that if you balance the mass with the firebox and only load the batch box once you will get more efficient burn and transfer to the mass. Erica points out that both freight trains and a Prius are both efficient in different ways for different purposes. All the builders do agree that if you are novice that it would be best to build a J-Tube or several outdoors before you attempt to build a batch box heater. Paul is still of the opinion, even after much discussion, that batch box heaters are still inferior to J-Tube style and making it difficult to move Rocket Mass Heaters forward. Donkey disagrees with that assessment and points out that many Masonry stove builders in Europe are doing fantastic work. It's pointed out that Batch Boxes are not a novice toy and really should be attempted by more advanced builders. Donkey also points out that in the early days of the Rocket Mass Heater it was possible to make modifications to the basic design but after fifteen years of experimentation and building there is not as much room currently for improvement over the basic design. Erica points out that the fact the mass in an RMH is still putting out heat when the stove is not burning which is way more efficient than any other stove currently working. The fact that you can heat your home with 1/10th the wood is too fantastic for most people to believe so there is discussion that the concept might be better accepted if it was claimed that they only use 1/2 the wood, even though they are way more efficient than that. Ernie says that he and Erica pad the amount of wood that they use to be more conservative so that people will believe them more readily. Ernie points out the discussion with the people currently in the room around both J-Tube style and Batch Box heaters is really just about quibbles until you introduce the Gilligan Factor. Donkey points out that J-Tube Rocket Mass Heaters are designed to be built in a lower price range with lower quality materials and the Batch Box are branching back into a more professional stove build with a much higher price point. Donkey and Ernie, both instrumental in developing the RMH technology, ramp up a mini-rant about how they have created the instructions and put them out into the universe and the inability of people to actually follow the instructions in order to create successful builds. Erica ends on a high note with "a bad workman blames the tool when things don’t go right and blame failure on bad luck, a good workman attributes success to good tools and planning". The takeaway overall is don't build a batch box for your first build and make sure your first J-Tube builds are done outside until you have the concept and skills down before attempting to move them inside. Paul Wheaton, Kirk "Donkey" Mobert, Erica and Ernie Wisner with Fred Tyler and ant Jeremy in attendance discuss Allerton abbey and the batch box heater that is installed onsite. According to Paul, Allerton abbey is now about 96% complete, and the door has finally been re-installed. The new door is approximately 280 lbs. and opens smoothly and has had magnets installed to help keep it closed without a latch. The discussion rapidly turns to how dangerous doors can be and the risk doors can pose to children, especially unattended children. The participants were onsite at wheaton labs for Natural Building Week priorities - first was to hang the giant door. The second priority was to peel back the WOFTATI roof there was an estimate of about 8-10 tons of dirt on the root, the actual amount of dirt on the roof was probably four times that amount. It would have been almost physically impossible with the people available to remove the dirt from the roof in the amount of time available and still repair the roof so it was determined that power equipment would be needed to remove the dirt from the roof. Using the on-site fourteen ton excavator would not allow the operator to see what they were removing. After a search it was found that there were no 32-ton excavators were available for rent in the local area. There was a 27-ton excavator available but there was no low-boy trailer available to move it to the site. Because of the difficulty in getting a bigger excavator onsite It was decided to build up a platform to allow the 14 ton excavator to remove the dirt from the roof and allow the operator to see what they were doing. It turned out that a lack of running vehicles large enough to haul the excavator to the site was still an issue so the Natural Building crew decided to attempt to 'fix' the airflow issues by repairing the roof from the front. Donkey had a FLER camera so that was used to attempt to document the air flow and temperature and then the camera battery died. While the camera battery was recharging the intrepid crew decided to start a smoky fire in a metal can to trace airflow by determining where the smoke was flowing out of the WOFATI roof. The general consensus was that Donkey did almost burn the structure down during the attempt so it was determined while it was a lot of fun it was not productive so Fred went to town and rented a 2-ton excavator (which the crew found extremely cute). Turns out Paul had more excavator driver time than all the rest of the participants combined, so Paul became the excavator operator. Paul was able to remove probably 8-10 tons of earth the first day. WOFATI's are designed to have about 3 feet of dirt covering, the current layer on Allerton abbey was approximately 4-5 feet. After discussing the current state of Allerton abbey the conversation then moves on to a discussion of batch box rocket mass heaters with Paul's take on the issues (which is mostly negative) and Ernie and Donkey defending. Paul's number one problem is batch box being built without doors and then calling it a Rocket Mass Heater and once it's lit without a door the unit smokes and then the people trying to light it say RMH's don't work. Donkey was willing to admit that batch box rocket heaters are finicky so if you have never built a RMH or any other type of Rocket Stove then a batch box is NOT the project to start with. They have to be built correctly or they will probably not work at all or if they do they will smoke. Paul feels that there is a steep learning curve on how to light a batch box heater and Donkey points out that on the recent Rocket Stove tour a participant was able to start the batch box heater in the Red Cabin with about two minutes of instruction and the only time it smoked was when Donkey was "messing with it". Erica's concern with batch boxes is that people like what they are used to so they are attracted to the stove because it looks and feels more like a stove they are familiar with and they light it incorrectly because they light them like they are used to lighting a wood stove. So because it looks and feels familiar people don't follow the instructions and use them correctly. Donkey points out that Trucks that run diesel look just like trucks that run gas but people can learn to operate them properly. It was then brought up that Peter van de Berg created the 8" batch box that is currently in the shop and Paul's contention is when Peter is running it's fantastic but if anyone else attempts to run it they don't have as much success, especially when starting the batch box. Ernie takes exception to that and states he has not experienced any issues getting the batch box in the shop to light. Erica then spends some time describing the "slow" start method that is ideal to start any stove. First step is confirming the chimney is primed, using either a small amount of newspaper or a candle. Once the chimney is drafting correctly, then start the stove and check the output from the chimney. If the chimney output is clear or white then you're good, if it's any other color you may have to adjust what is happening in your stove. Paul points out you can use a small propane torch to heat the chimney prior to lighting the fire in order to heat the riser. Paul is mostly incredulous that everyone in the room uses matchstick kindling to start their fires. Paul also points out that with batch box stoves when the primary wood is loaded into the batch box Rocket Mass Heater you have to leave at least a 1 inch gap in front of the "port" inside the run chamber. Erica remembers Peter mentioning that there should be at least a 2" gap all around the wood being burned. Discussion turns to how the Wisner's typically operate their Rocket Mass Heater at their house. Usually for Erica and Ernie they tend to only add more wood every 90 minutes to 2 hours. At Paul's house he tends to add wood every 30 minutes or so for a few hours and then he's done for a couple of days. At Donkey's house he "Donkey-fied" a Tim Barker non-Boom Squish water heater that takes about 60 minutes to get the water to shower temperature. Donkey's original great-grandfather prototype of the batch box is not as efficient so he runs about two burns of two hours each to get that stove to run through the night. Discussion turns into what are actual Rocket Mass Heater vs. the Freak Show of Flaming Death stoves that are created by the "instant experts" on YouTube. Beware of posting without follow-up videos of how the units operate. Shawn has listened to most of Paul's podcasts and heard Paul mention wanting to make a book out of his various writings. So Shawn volunteered to help him do that. Originally, they were just going to mash it all together and do a kickstarter to get it out to the public. But, after working on it for a few weeks, they were really enjoying it. They decided to spend the extra time to really polish it up. After 8 months they are 80% done and the book is looking really, really good. For the title alone, they put in about 5 hours of work and basically ended up very close to what they started with. "Building a Better World in Your Backyard Instead of Being Angry at the Bad Guys"
Paul spent about 6.5 hours on the cover and Shawn has spent about 10 hours on it. This book is not about gardening. The cover has lots of icons on it to represent the different topics covered in the book. Paul wanted the cover to be like an album cover for a band. There will be a vote soon on the two possible covers. This book is for people in apartments or the ones who have a house and yard or for people who have acreage. It breaks the world problems down into three parts. Carbon footprint which is at 30 ton per year per person. Petroleum footprint which is at 1,000 gallons per year per person, and toxic fairy dust. The book is almost ready to move into the publishing phase. It still has several layers of editing that needs to happen and the layout. Paul is planning a kickstarter for January 2nd. He expects the book to be finished in another month and a half but the end of the year is not a good time to start a kickstarter so they will use the extra time for refining. The book is broken into the introduction, the three problem footprints, and then the strategies for fixing them. It is actually a severely condensed form of lots and lots of articles, essays and information. The aim is for 200 pages. Homestead level stuff - orchard vs food forest, poop beasts, critters, replacing petroleum with people, WOFATI's and natural swiming pools. A huge part of what's in this book is what is not available in other areas. Actually Paul just recently heard about a movie with a similar title and was freaking out that someone else had written a book and made a movie about what they have been working so hard on writing. But after watching it, no problem. The movie was about meditating, modifying a diesel truck to run on veggie oil and using solar. It did mention Joseph Jenkins and Humanure though. Paul and Shawn decided to have the book printed in black and white which is only 1/2 the cost and would make the book accessible to more people. It has lots of line art drawings in it from Tracy Wandling. Their first thought was to print 800-1,000 copies but now it has been polished up to print 2 million copies and fund that with the kickstarter. It will have 2 phases of editing and a professional layout. They have about 1 year of effort into the book now. If the kickstarter does well, they can see other books being written in the future. This book is written for people to buy several copies and give them to their friends to infect more brains. They intend to mostly sell them by the dozen. For example, one book may be $20 but if you buy a dozen, they may be $7 a piece. This book should be a fun and easy read. It will convey the ideas of the podcasts, condensed into an easily readable style. Shawn did tons of research on LED's when they were writing that part and he got really mad about what he discovered too. The LED light spectrum is very problematic. It has too much blue in it and that messes up your sleep cycle. The warm spectrum LED's are better but still off. Podcast listeners can give feedback about the book on the forums. 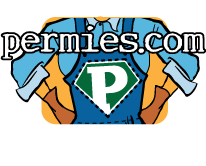 Different chapters have been posted and reviewed by different groups in the permies forums. For every podcast published, there is a permies.com thread where they can post comments about the podcast. Paul has split his Patreon in account into three. One each for podcasts, videos and articles. The result is that he's running in the red again for making new artifacts. He will continue to make podcasts and videos regardless but will be able to make more if there is more Patreon support. Paul reads the intro to the book. He quotes "A Tale of Two Cities" about the best of times and the worst of times and compares it to our current world. Most of the book is very strongly focused on the solutions that you can do at home and not on any political or government or bad guys solutions. Paul says so many people today are angry because they care but they get stuck at being angry and this book gives you lots of solutions to the problems. Others will envy your life when you employ these strategies and then want to emulate you. This book is a compilation of Paul's (and now Shawn's) ideas. There are lots of footnotes on each page but to make them less obtrusive, they are links to permies.com discussions. Most of the solutions from the book are based on Permaculture (permanent agriculture) and homesteading. Come out to this podcast thread and let Paul and Shawn know what you think of the book. Buy a piece of "pie" (about $3.00) and there are several chapters listed in the pie forum that you can read and make comments about. Most of the comments have been very good and useful. This is the second half of the Foody Bits podcast. Paul Wheaton and Jocelyn Campbell are on their way back to Wheaton Labs from a road trip and continue their discussion about health and food. Paul is expecting the food systems that have been put in place at Wheaton Labs will start producing at a higher level next year and the hope is that eating locally from the property will help increase their health and well-being. Paul expects that once they are able to eat more foods produced on their land that their overall health will continue to improve, he might lose weight and it's possible that he might stop wondering if since the Brain is primarily composed of fat does a low-fat diet influence your ability to think? In an effort to spend more time being active Paul developed the 20/20 project time goal where he and Jocelyn spend 20 minutes a day on projects Paul would like to get done and 20 minutes per day on projects Jocelyn would like to get done. Paul's projects tend towards larger items: Dry stack walls, Earthworks and road upkeep, new trails, a lot of Chop and Drop and the Hugelkultur Siege Ladder. Jocelyn's projects tend towards smaller projects like hanging Planters, planting things and beautifying the Lab. Jocelyn then discusses the book she is currently reading, Brain Maker, The Power of Gut Microbes to Heal and Protect Your Brain for Life by David Perlmutter and how the microbes you have might impact your health and well-being as well as your weight. The discussion moves on to how Paul's fight against gallstones and gout restrict his food options to a fairly narrow range. Beef and pork are currently not on the list for Paul. No wheat or corn, no dairy except for mozzarella, yogurt and ghee. Minimal refined sugars in moderation and apple juice are on the list of things Paul can and should have. Lots of vegetables, lots and lots of vegetables. Paul's go-to items currently are yogurt with an apple juice sweetened jams and chips made from cassava (links to these can be found in the Gout and Blood Type discussion). Limited amounts of chicken and fish, one egg yolk per day and as many egg whites as desired. Their daily menu is usually eggs and greens for breakfast, lots of fermented veggies, moderate amounts of sautéed onions and garlic. Lunch tends to be more of a toss-up and for snacks Paul is able to have Peanuts, Cassava chips and vegetable dips (usually with Jocelyn sneaking lots of veggies into the dip). Dinners tend to be Taco Tuesdays, with black beans (the only kind Paul can eat), Thai peanut sauce over Zoodles (zucchini noodles), fruity salads, Fish Fridays, Spaghetti-flavored cake (lasagna), frittata's, fresh greens with hot soup, coconut milk curries with veggies over rice. Perfect Health Diet by Paul Jaminet Ph.D. and Shou-Ching Jaminet Ph.D.
Paul and Jocelyn then thank some of the Patreon supporters and the discussion turns toward how Jocelyn stepped up and did most of the cooking for the recent PDC and ATC courses. Jocelyn relates she was told by an older women who attended the PDC that eating the food Jocelyn provided helped her arthritis subside. Jocelyn also discusses how pre-event food prep helped with the setup and that the food leaned more towards a vegan and plant-based menu then at some of the previous events. Paul did want to make it clear that if people who have special dietary needs are coming to events they need to make sure they bring their own items with them. The podcast winds up with Paul and Jocelyn discussing their recent stay at the Enliven Bed and Breakfast in Kenmore, Washington. Enliven is a fragrance free facility that caters to travelers with sensitivities to fragrance and chemicals and is a place that they would like to return to when they are in the area. Paul and Jocelyn discuss their health issues related to food and particularly Paul's recent medical challenges with his spinal cord issue, gout and galstones. Paul says that this is a podcast that Jocelyn has been anxious to do for several months now. Paul states that he had never been to a hospital until about 2 years ago when he suddenly had excruciating pain from a blown disc in his neck that had squirted disc jelly over his spinal cord. However, his insurance decided that he wasn't really in that much pain and had him sent home with tylenol. While he was flat on his back in bed, a great device was set up for him that allowed him to suspend his cell phone over him so that he could use it to communicate online. Jocelyn goes back in time a bit to describe how when they had met 10 years ago, both of them were avoiding several foods, mostly for mental clarity reasons. Paul says that he had avoided dairy since his 20's but since his podcast with Sally Fallon-Morrell, he now wonders if perhaps he only needed to avoid pasteurized dairy. He also was trying to eat less grain and avoid sugar which would give him a zip and then crash afterward. Jocelyn would get wicked headaches for several days after consuming the tiniest amounts of wheat. Now they both eat very strictly organic. Jocelyn says that she would have issues with anemia and her thyroid as well as brain fog and that both her and Paul have done lots of research about nutrition over the years. Paul says that he finally paid out of pocket to see a specialist regarding his disc issue who recommended scheduling surgery about 5 weeks out since about 50% of the time these issues would improve on their own. And after about 2 weeks of bed rest, the pain did start to subside and continued to gradually improve over the course of several weeks to months. Paul tells of how shortly after he had arrived at the property, his left foot started to swell significantly. Sometimes getting so large that his toes could not touch the ground. He googled it and decided that it was probably gout. He then ate lots of cherries, which are known to help with gout, and it resolved. Then there was the issue with galstones. When he researched that online, he found that it predominately effects women and that pretty much all of those who have had them say that they are worse then childbirth, pain wise. Now, he has not had a galstone attack since Oct 2017 (currently it is Aug 2018). When it first happened, the galstone pain was so bad that Paul thought that he was probably dying. The answer at the hospital was surgery but by that time they had medicated him for the pain so he wanted to wait and do some research on the problem. The doctor that he went to was also very keen on doing surgery right away. Jocelyn says that if a galstone gets stuck in the gal duct, it can burst the duct and leak bile into the abdomen which can be deadly so most doctors just want to take it out. They connect the liver to the intestine so that the bile just drips directly into it. Paul explains that the purpose of the bile is to help brake up the fats that are in our food. However, sometimes something goes weird and causes rocks to form which can get stuck. Finally, the surgeon (who was grey haired and probably near the end of a long career) said that there is a way to change the diet to eliminate the stones but that no one in her experience has ever stuck to the diet and avoided the surgery. Paul and Jocelyn accepted the challenge. The pain was very motivating for Paul. It has been 10 months now since his last stone passed. He did have three times where he passed galstones. A sonogram can be used to visualize the stones but was ineffective at seeing the area in Paul due to his large girth. In general, it takes a couple of years on the diet to clear out galstones. Basically you avoid fats. When he and Jocelyn were working to avoid more sugar, they had tended to eat a rather high fat diet of bacon and pork. Paul says that his second galstone attack was one week after his first one. There were several contributing factors. Jocelyn was away for a week taking care of her mother so Paul didn't bother to eat much. Then he had a meeting at a restaurant and he had a large hamburger with fries. Eating very little and then having a large meal of beef and potatoes turns out to be a common cause of galstone attacks. Then he read up further on it and decided to eat less of the problematic foods, about 1/3rd of what he used to eat. The doctor said that after 5 weeks of no attacks, your sensitivity to an attack decreases. Also, you should eat frequently to avoid attacks. Jocelyn says that after the third attack, they really focused in on the diet. It consists of olive oil, avocado oil, coconut oil, lemon juice, malic acid, and apple cider vinegar. Only one yolk per day but as many whites as you want. No dairy for a while and he even went vegan for a while but the diet ended up being too limiting with all the galstone foods that he should also be avoiding. Paul says he can now eat yogurt, ghee and mozzarella cheese but no wheat, corn or potatoes. There is almost nothing he can eat when they go out. Sushi is OK, there is one item at Chipotle he can eat and now they have found a pizza place that makes a rice based crust that he can have. Jocelyn says that she is working very hard to get lots of veggies and greens into their diet. When Paul was having his spinal problems, she had watched Terry Wahls TED talk about fueling mitochondria with diet to reverse her MS. Jocelyn is aiming for four veggies per day which is challenging. It turns out that onions and garlic are problematic as well as cheeses, beef and pork. So they switched to fish and chicken and veggie oils and added in helpful foods like artichokes, radishes, turnips and beets (but Paul doesn't like beets). Unfortunately, that diet ended up being very high in purines which triggered Paul's gout and no amount of cherries would fix it this time. Then he just went vegan again for a time. There is some kind of relationship between gout and galstones but it is not well understood. Possibly it is related to high inflammation in the body. They have ended up with a galstone - gout - blood type diet. That leaves very few foods that Paul can eat. Paul says that the blood type diet was very important to his doctor so they are trying to incorporate that element as well. Then the gout came back again and they discovered that sea weed and chlorella are also very high in purines and so removed those as well. They are both working to get more activity in their lives but Paul finds it particularly hard to pull himself away from work that he's trying to accomplish online. Now they work for a bit on one of his projects and then on Jocelyn's projects each day for exercise. Jocelyn mentions that although both of them are fat, doctors are surprised that neither of them have high blood pressure or diabetes issues which she relates to eating an anti-inflammatory diet. In this podcast, Paul and Jocelyn continue answering listener questions. They start with the rest of the answer to Amy Grisak's questions for Paul from podcast 408. Question #4 - What are some of your favorite polyculture plants? Paul says they are trying to make lots of diverse soil and scatter the seeds and see what takes in different areas instead of trying to set up guilds. Sunchokes always do really well in dry areas. He likes to plant diverse trees and separate the same species by 40 feet or more so that they don't compete with each other for getting rid of wastes and acquiring nutrients. If you have really diverse soils, you can't really set up guilds effectively. Jocelyn says that permaculture often suggests to observe the land for a year but a year is not enough time to really get an understanding of how it operates in the different seasons and people often feel like a year is too long to wait. The Montana seasons have been very different each year that they have been there. She says that they are still doing lots of soil building with their plantings and doing lots of chop and drop. As the soil improves they are having better luck with over wintering herbs. Paul says even if you were using guilds for planting, the types of guilds that you would use for the first year on a property would be very different than the types you would use in later years as you would have different short term goals for the land. (ie building soil at first). They do "bootcamp" for many of their plants and have a high die off rate but what remains is very strong and resilient. He would much rather have 100 trees and try a wide variety of plants underneath and see what works and then improve the varieties based on that. He voices the option that chop and drop is so much better and easier than conventional composting and mulching. Jocelyn expresses how she has found a heavy layer of chop and drop to be very good as controlling grasses around trees. Question #5 - How can bugs be good? Paul says and example would be the yellow jackets. Many people see them as pests but they are good at controlling other insect populations. Their gardens are growing so much this year, he was worried about an overpopulation of bugs since they didn't have chickens yet, but the yellow jackets are going after the bug population. There are tons of beneficial insects like the pollinators. You want a diversity of bugs and a tidy garden or a monocrop doesn't give you the variety of habitat for the variety of bugs that you need and that leads to bug problems. Paul says that bugs are part of nature and as you embrace nature you need to embrace the bugs too. Jocelyn reminds us that bugs may be natures way of dealing with a sad plant by removing it. Paul tells a story about how in a polyculture, potato plants may have one plant attacked by bugs where the rest of them stay healthy. He reminds us that if you have an excess of an animal or insect in the garden, be patient and nature will bring in predators to deal with it. Question #6 - If you don't own land and can't do big projects, what can you do? Do small steps make a difference? Paul's short answer is yes. If everyone does small permaculture stuff, it adds up. But he points out that we need a better recipe book for the small things to do. Al Gore's first movie had a recipe that doesn't help much. Paul's first step is to go "poo less" (not use soap or shampoo for bathing). It reduces time, energy, water and toxic chemicals and increases you health. Paul had a huge decrease in body odor after going poo less. Jocelyn says that she always had greasy hair and that after 1 month of being poo less, her hair stabilized and was no longer greasy. Another person had chronic migraines disappear. Free Shelf is another good step. Make a place to give away usable stuff instead of throwing it away or selling it. Use a Repair Cafe. New places springing up to repair items instead of throwing them away and getting new ones. Have a Boneyard. Every homesteader should have a place where they store items that might be able to be used in the future. James S Juczak's book on scrounging is a good resource. Vote with your wallet. Avoid Monsanto foods or using petroleum products. Jocelyn has a pet peeve with people saying "I can't afford that." (i.e. organic foods) when they are spending lots of money on cars or vacations or discretionary items. Paul says to look at how people are curing cancer with organic food. If people would model that way of eating, then they would be preventing cancer. He expresses his belief that insurance companies have it in their best interests to avoid having you treated for problems. Polyculture food is even better than organic food too. He gives the example of how when Jocelyn was cooking for the last ATC (Appropriate Technology Course), one of the attendee's had her arthritic symptoms disappear a few days into the course and felt that it was from the good food that she was eating. Own a home without a mortgage. Rob Roy's book has a recipe to own you home without having a mortgage. Retire Early. It is well explained in Jacob Lund Fisker's book "Early Retirement Extreme". Give a gift to your future self. Develop passive income streams. There are a couple of podcasts on that subject. Put knowledge in your head. Local vs. Organic - Non organic is not even an option. If you can get local and organic all the better. Omnivores vs Vegans vs Junk food. The standard American diet is not comparable to an organic Vegan diet or any organic diet. The argument that a Vegan diet is better for the planet is not true. You need a diet that works best for you and then optimize that for the planet. Energy is a problem. The only clean form is wind. Nuclear, coal and hydro all have problems. Heat. An average of 50% of energy is spent on heat. You need to heat people instead of the entire house (Paul's article on how he decreased his electric heat bill by 98%). Use a rocket mass heater if you can. Hot Water. Use poo less showers and do most of your laundry in cold water (which cleans just as well). Jocelyn had cut out her clothes drying by hanging clothes to dry and cut her electric bill by 40%. Incandescent lights are superior than LED. Living in Community. Living with 20 people in a house can cut your carbon footprint by 1/2 but you need to solve the stabby problems (i.e. people not getting along with each other). Bug Killer you can Eat. Check out diatomaceous earth. Paul did an article on it's use. Dangers of Tap Water. Paul did a review of "The Food Cure" which talked about avoiding drinking or washing with chlorinated water as well as eating organically. Cast Iron vs Teflon. Teflon is bad. Cast Iron is good but takes more skill to use. Second best is stainless steel. Baking in pyrex is good. Avoid microwaving in or with plastic.